P&N Homes has been at the forefront of residential and commercial property design for over 20 years. From the purchasing of a property and obtaining permissions to architectural planning, technical engineering and construction, we take an integral approach to each property build. Our services are fully comprehensive and undertaken by a team of specialist designers, skilled engineers and experienced house-builders. Offering a highly-skilled and specialist design and build consultancy, P&N Homes specialises in the refurbishment of historic properties in Italy and the UK. Whether you're searching for the right location to build, already have the plans drawn up or are looking to transform an existing property, P&N Homes offers bespoke expertise every step of the way. We can help you source real estate, navigate bureaucracy, and design and build your home ready for you to move straight into, or work with your nominated architect to execute your plans to the utmost detail. P&N Homes has decades worth of experience in turning contemporary buildings into innovative living spaces and heritage-listed properties into beautifully restored homes. With an aesthetic vision firmly rooted in the feel of a space, we take a holistic approach to shaping interiors and exteriors, gauging how each space lends itself to various uplifting and relaxing energies in order to create that feeling of home just as you want it to be. Our boutique hotel was born out of the passion and desire to create and share a unique yet welcoming place where nature meets luxury. The location we chose in Tuscany, near Siena, San Gimignano and San Galgano and not far from Florence, was essential for bringing a sense of calm, relaxation and well-being and has enabled us to transport you far away from the stresses of the outside world. With a 13th century villa at its heart, our five star award-winning hotel is a haven rich in history where people can come to celebrate a special occasion such as a honeymoon or a wedding, to relax with our bespoke spa treatments or to simply enjoy a romantic taste of heaven. Our definition of luxury is attention to detail, unsurpassed friendly service and unique experiences in a comfortable yet stylish setting. We have taken inspiration from our own personal travels and observations, pinpointing the very details that make the difference between a 5 star hotel and “The Borgo Experience”. Borgo Santo Pietro is a boutique hotel in Tuscany ideal for relaxing in luxury. 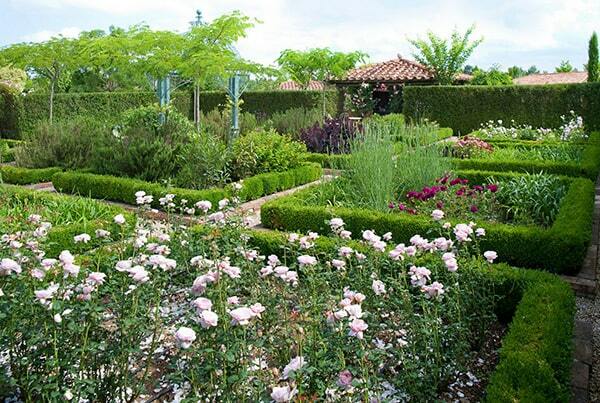 Discover the suites, the vast gardens and the splendid SPA of our boutique hotel Tuscany. Best Rates are also guaranteed when booking through our preferred travel advisors in addition to their individual hotel program amenities and benefits. As every year Borgo Santo Pietro becomes the stage of a fun-tastic and irresistibile adventure to share with your family!